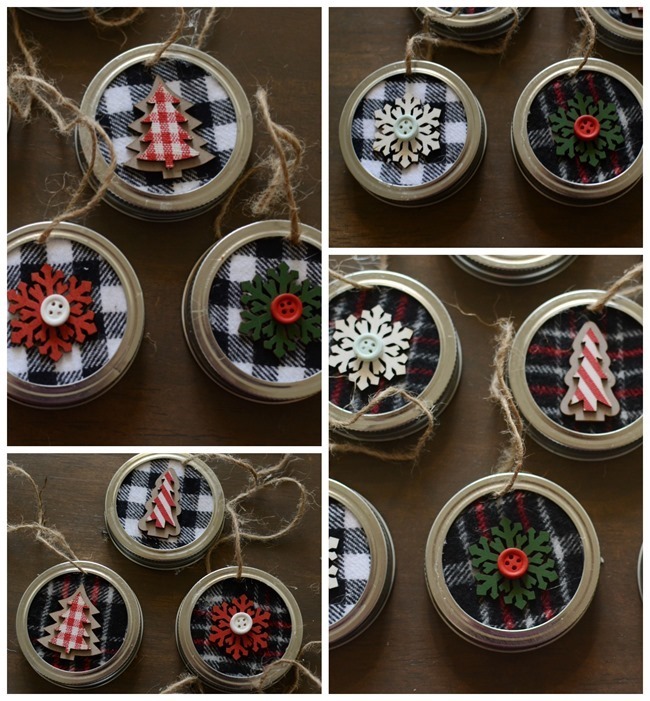 For the 7th DIY of Christmas, I created DIY Mason Jar Lid Christmas Ornaments! 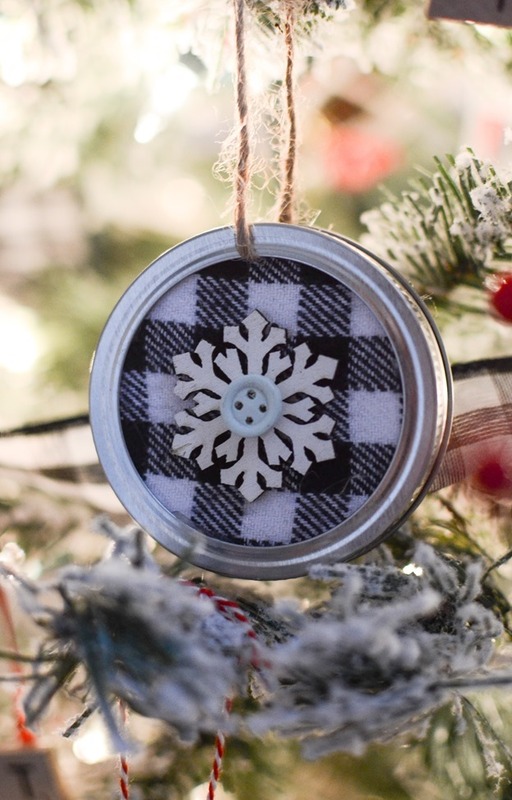 fabric – I used leftover fabric from my Plaid Flannel Ornaments and you won’t need much. 1/8 or 1/4 or a yard would make plenty! 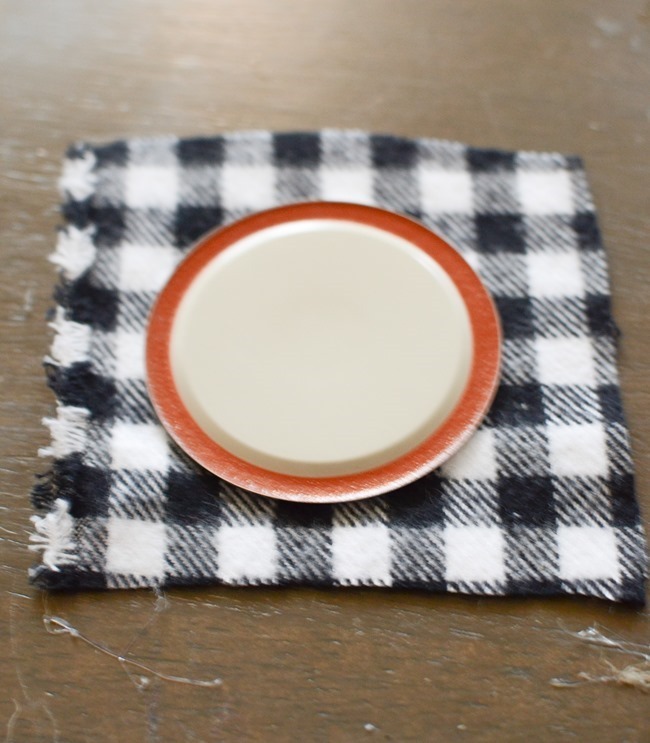 Lay out your lids on the fabric and cut a square big enough to wrap around the back. 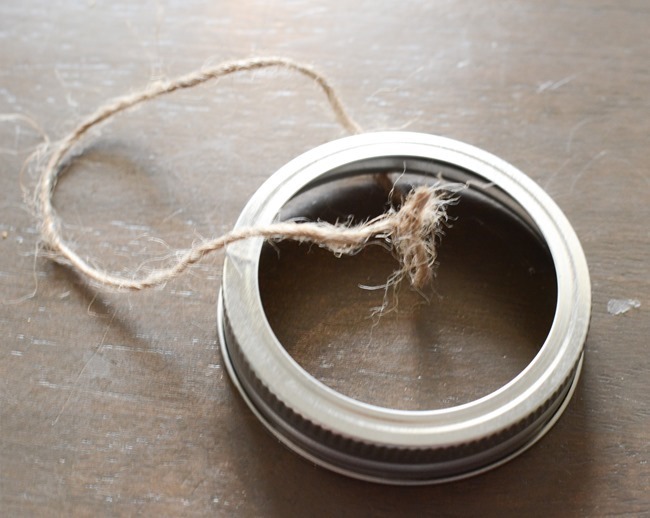 Tie jute or twine or ribbon around the ring and make sure knot is in the back by the edge. 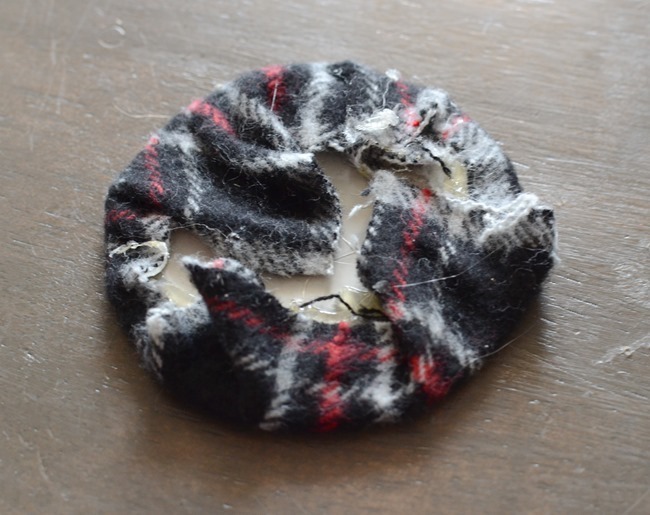 Put a few dots of glue in the back of the ring on the edge and insert the lid. And this is how it looks! 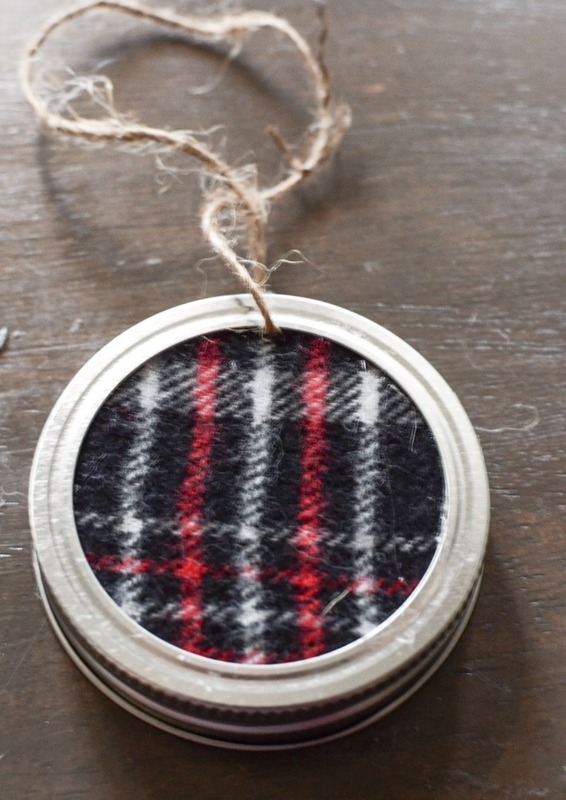 I love how the frame creates a nice clean “frame” for the fabric. Depending on your color scheme you could totally spray paint the lids beforehand if you wanted – maybe white for a neutral/wintery theme? Then my wood embellishments were stickers so I just peeled off the back and stuck them on. I was only going to do 6 of them but I was having so much fun and loved them so much I made a bunch If you cut the squares of fabric all at once, you can just speed through these and have a dozen of them done in 20-30 minutes. And here’s how they look on the tree! I just love both of these fabrics! And love how the different stickers look different on the different fabrics. 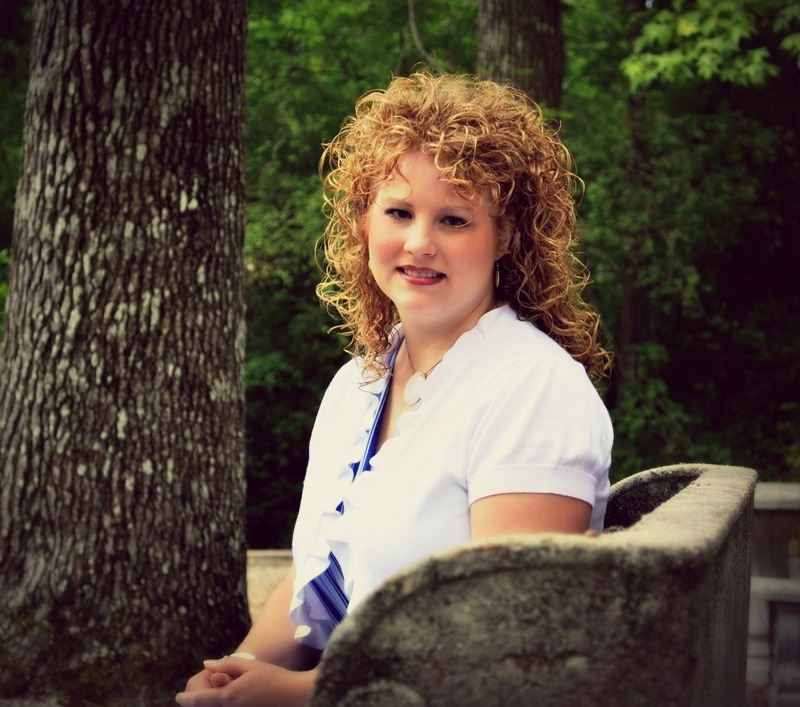 Buffalo check on buffalo check – be still my buffalo check loving heart! Can you find them on the tree? I think they are just adorable! 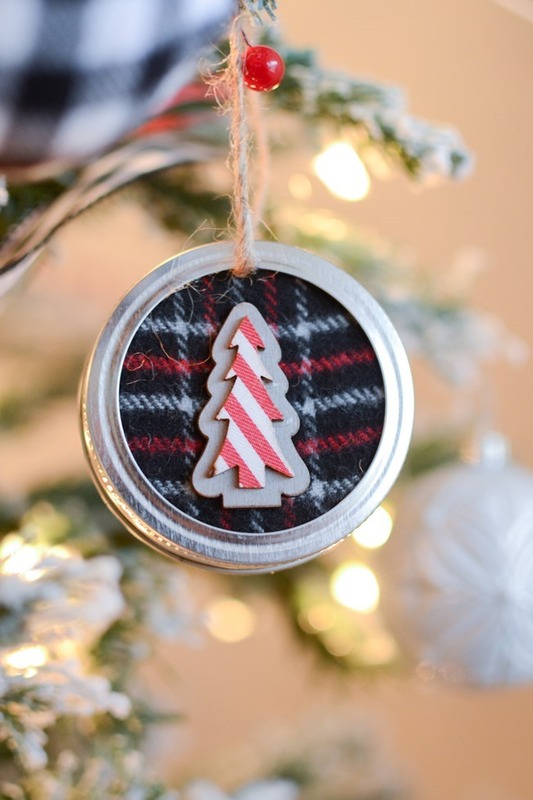 You can also see my DIY chalkboard log slice ornaments, DIY flannel plaid ornaments, and scrabble letter ornaments on there too. 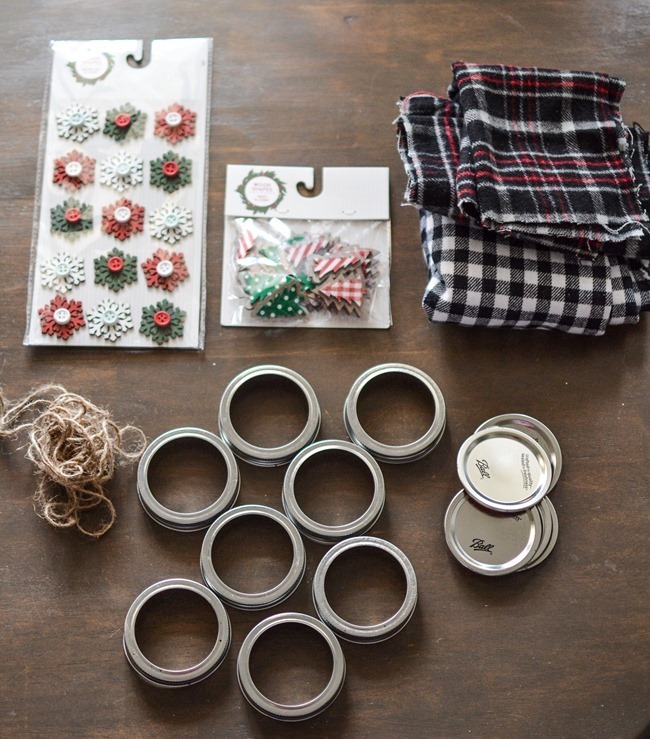 I think these would be fun to do with older kids – just supervise and use low temp hot glue. 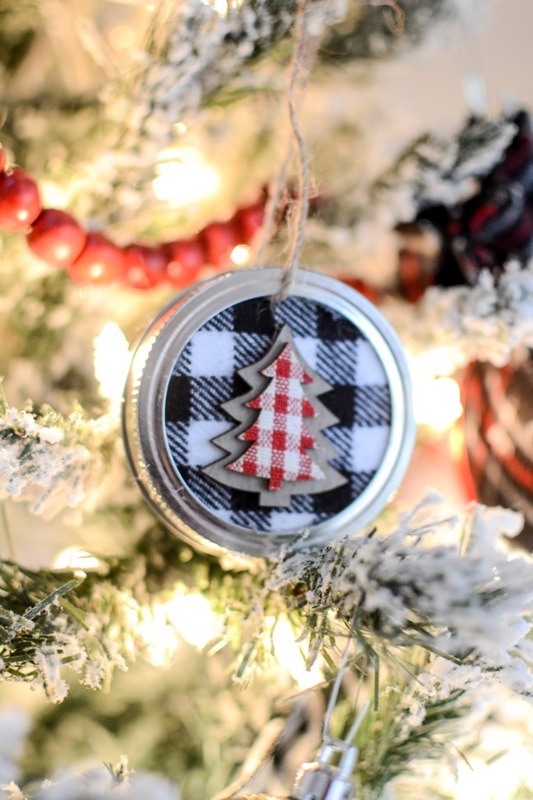 What color scheme would you do if you made mason jar lid ornaments? What would you embellish them with? 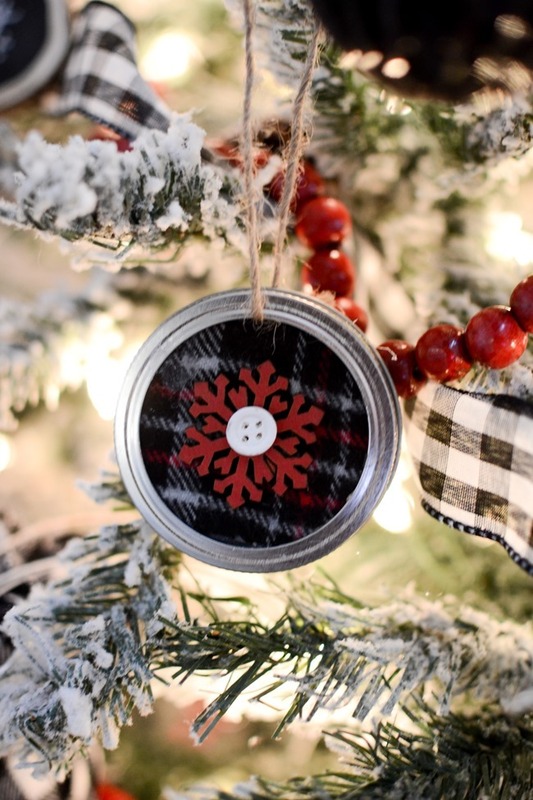 I like the 3 dimensional effect that your wood cutouts give to your ornaments. 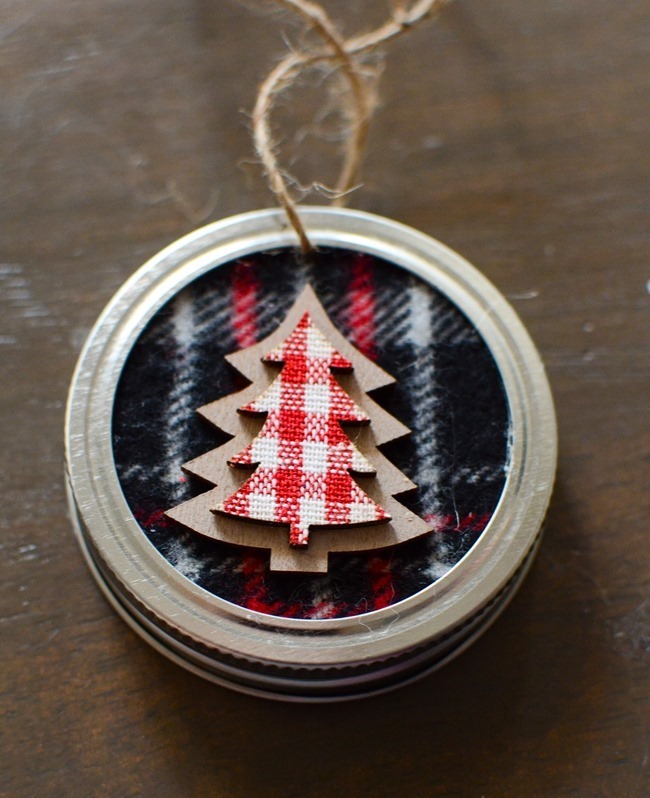 Quick and easy and so cute! Love these! 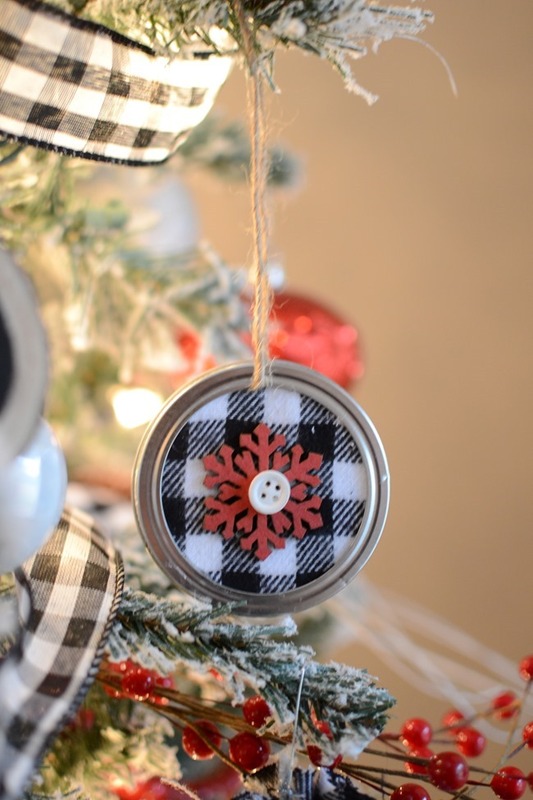 I would like to do a similar concept using only the flat portions of the lids glued back to back with a ribbon or twine loop in between, and then embellish with fabric, scrapbook paper, or cutouts from old Christmas cards. We buy home made salsa from a lady and I return her jars and canning lid rings, but the flats can’t be reused for canning. I’ve been saving them for years planning to make something with them. Thanks for the inspiration! Hope I can find the cute little cutouts at Target? 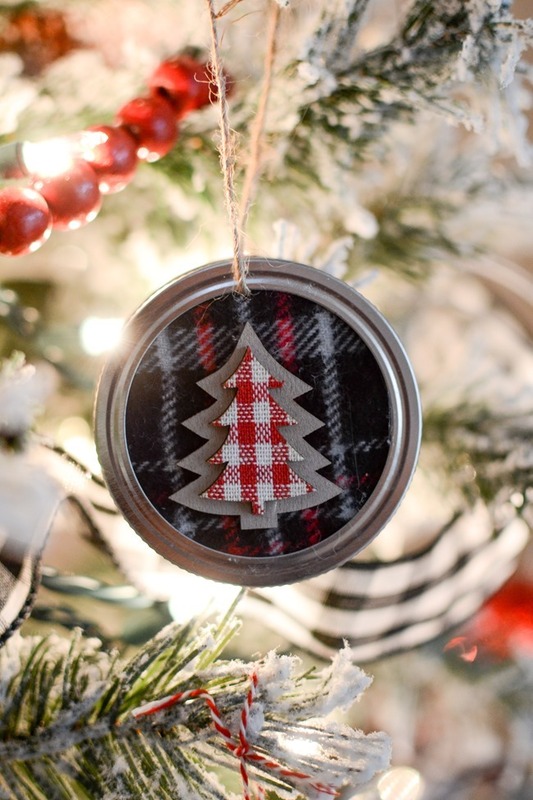 I think your tree is so rustic and cute. 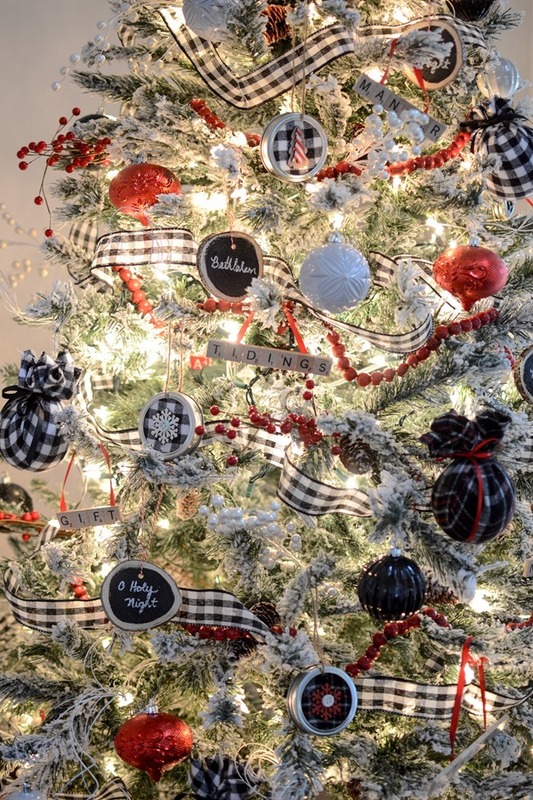 Love the ornaments. Thanks for sharing.